Just over a week to go for this! 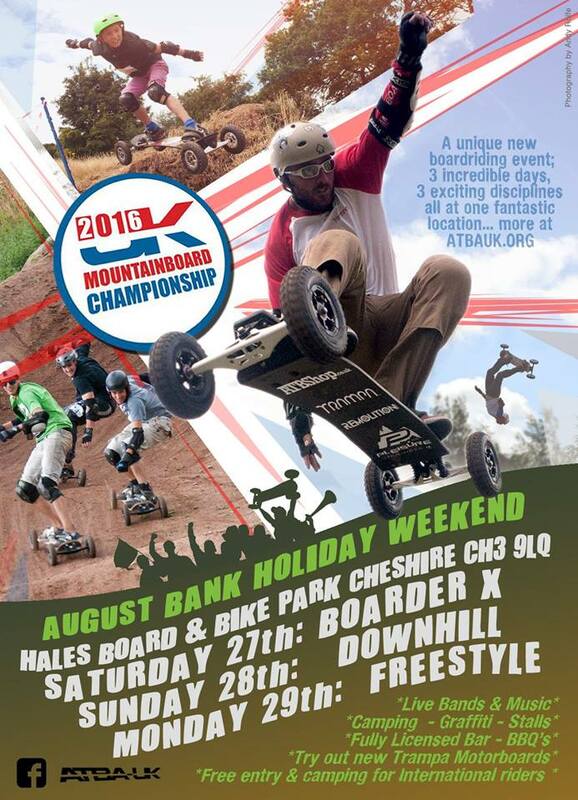 Everything to play for in a single bank holiday weekend of non stop mountainboarding hosted by Hales Board and Bike Park. The first day of competition is the Saturday which will be dedicated to boardercross. This is where 4 riders race down a track at the same time. On Sunday there will be a downhill competition. This is a time trial event over a longer course than the boardercross. On Monday it will be all about freestyle! Afternoon and evening entertainment is also provided – there will be a bunch of live music over the weekend, including midnight mini-ramp madness, a jib-jam and 3-a-side sumo suit basketball! There will also be catering on site! Click on the poster below to find out more!